Welcome to my blog. Do share your views and thoughts with me. Request visitors to keep their comments brief and to the point. I shall respond to you to the extent possible. 1A Camac Court, 25B Camac Street, Kolkata – 700 016, India. Blessed Mother Teresa of Kolkata in her very own words had said about Mr Bhutoria --- “He is a boy with a different vision altogether”. 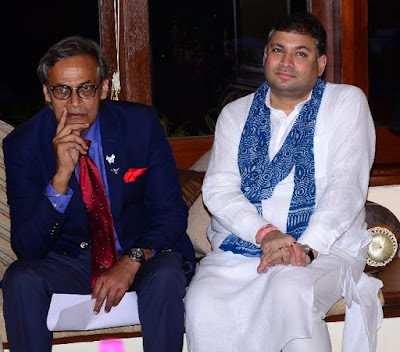 --- Sundeep Bhutoria is a man with a mission – to make meaningful contribution to the betterment of society and to promote Indian art and culture at home and abroad. Born in Churu in the Shekhawati region of India’s desert state of Rajasthan, Sundeep is very well known in the social, literary, diplomatic and the political circles in India. A globetrotter, Mr Bhutoria straddles across worlds and wears many hats – a popular youth icon, tireless social worker and activist, ardent admirer of Indian art and culture, a successful businessman - he is engaged in many UNA projects holding key positions. He is closely associated with many social welfare organisations and trusts. He loves to read,writes columns in dailies, plays the violin and enjoys playing golf and watching polo. He lives in Kolkata (India) with his wife Manjari but divides his time between Rajasthan, Delhi and London each year. In a short span he has achieved many milestones and recognitions. April 16, 2017: I hosted a lunch in honour of Lord Swraj Paul today at The Hyatt Regency Hotel in Kolkata. Members of the Consulates and other guests attended the lunch. Later in the evening, Lord Swraj Paul was the guest speaker at the first edition of Ek Mulakaat in Kolkata held at hotel Taj Bengal and hosted by Prabha Khaitan Foundation in Kolkata in association with The Tollygunge Club and Calcutta Times. 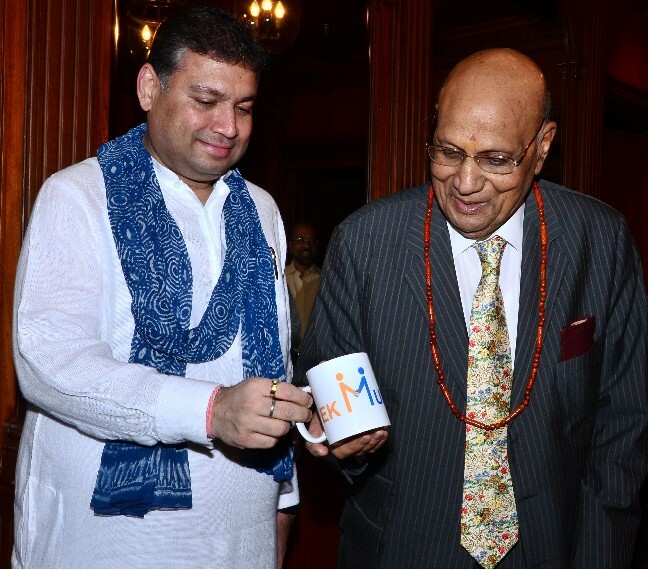 Lord Paul was engaged in a free-wheeling interactive session by Manoj Mohanka. Lord Paul shared some very interesting anecdotes from his eventful life. He also shared his views on how he viewed India. The conversation covered many important topics from Indira Gandhi, Rajiv Gandhi, JRD Tata, Narendra Modi, Donald Trump and so on. 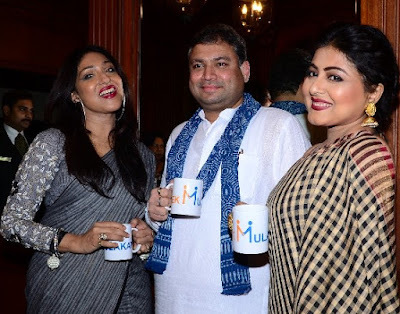 The event was attended by, among others, members of Tollygunge Club and Tollywood celebs, Gargi and Rituparna Sengupta. 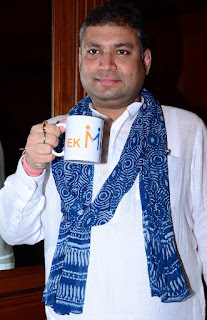 After the successful launch of Ek Mulakaat in Jaipur, Udaipur, Patna and now Kolkata, I have plans to start Kalam in other cities, including Varanasi, Ranchi, Bhubaneshwar and Bangalore. I shall leave for Hyderabad tomorrow for the first Kalam event the city.